No Hollywood tabloid trash here, just the great cars and bikes that The King of Cool owned, raced, or put into his films. Steve McQueen would have never considered himself a collector in the classic sense, but he had great taste in cars, and owned a string of fabulous rides. He also had more than 150 motorcycles throughout his life. He was an exceptional racer, running his first SCCA even in 1959, and capping his driving career with an impressive second overall at Sebring in 1970. Then there are the movies that revolved around wheels: Bullitt, The Great Escape, The Thomas Crown Affair, and of course, Le Mans. 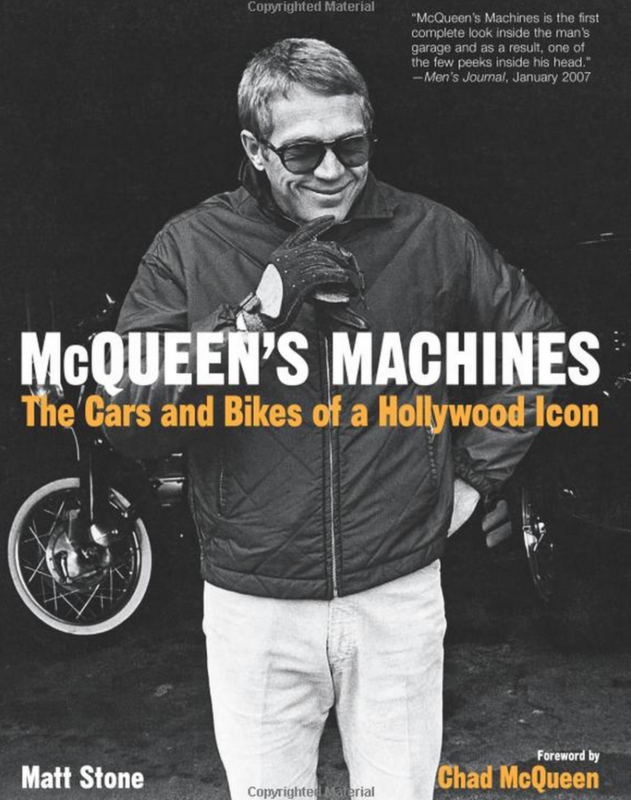 The McQueen family allowed me access to the family photo albums for this one, and I feel this book is something any motorhead would enjoy.